Love the look of fur but don't want to commit a fashion faux pas? With plenty of ersatz options on the market, you don't have to avoid looking at your four-legged bestie in the eye. But if you think that faux fur means only virgin polyester or scratchy acrylic, you'll be sorely mistaken. Here are seven options that will keep PETA off your tail while treading gently on the planet. Above, Green3's whimsical animal mittens ($22), stitched in the United States from 100 percent recycled cotton. No hapless animal surrendered its skin for Kelly Lane’s “Cosmic” bolero. It’s handmade in the United States from a blend of soy, organic cotton, and Lycra, with a stand-up “fur” collar derived from hemp. Leave the fox fur where it belongs: on the foxes. Donna Wilson’s quirky fox-shaped scarf is hand-knit in Scotland from 100 percent British lambswool. Hemp has its haters, but when it comes to fashion, we’ll choose the crunchy fiber over dead animal any day. HoodLamb’s women’s jacket features a fleece-like trim derived from 20 percent hemp, 35 percent recycled PET, and 45 percent acrylic for the perfect blend of comfort and style. Available in your choice of black, army green, and burnt orange, the “Bailey” satchel by the Hemptress marries the rough-and-tumbleness of hemp and organic cotton corduroy with the sumptuous texture of recycled-PET faux fur. 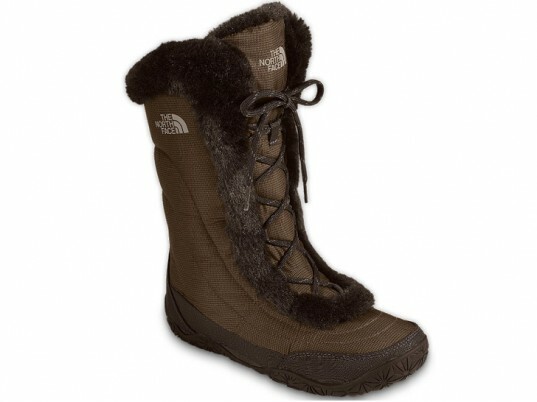 Climb every mountain (or sidewalk curb) with the Nuptse Fur IV boot by The North Face. The recycled-polyester ripstop upper gets an extra dose of coziness from a lining of faux fur, composed of 100 percent recycled PET. Sometimes pretending to be something you’re not is a good thing, like Imposter’s line of faux-fur accessories, which benefit critter-friendly charities like the Humane Society of the United States, the American Society for the Prevention of Cruelty to Animals, and Farm Sanctuary. For every pair of fuzzy earmuffs sold, Imposter will earmark 10 percent for animal-kind. No hapless animal surrendered its skin for Kelly Lane's "Cosmic" bolero. It's handmade in the United States from a blend of soy, organic cotton, and Lycra, with a stand-up "fur" collar derived from hemp. Leave the fox fur where it belongs: on the foxes. 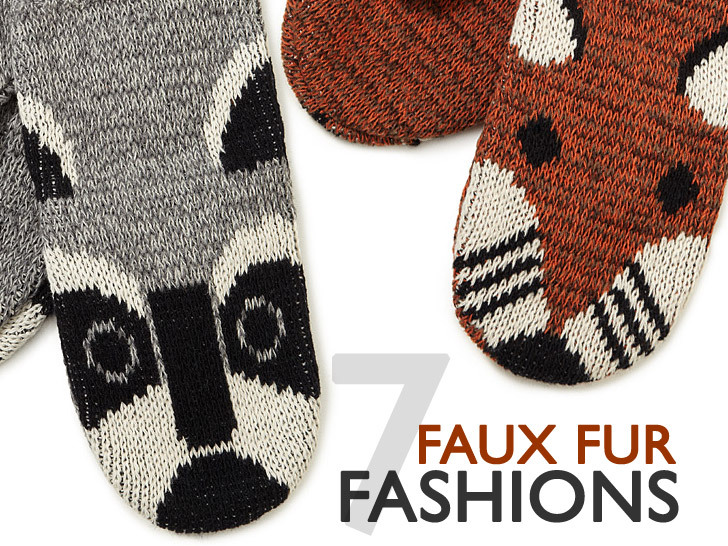 Donna Wilson's quirky fox-shaped scarf is hand-knit in Scotland from 100 percent British lambswool. Hemp has its haters, but when it comes to fashion, we'll choose the crunchy fiber over dead animal any day. 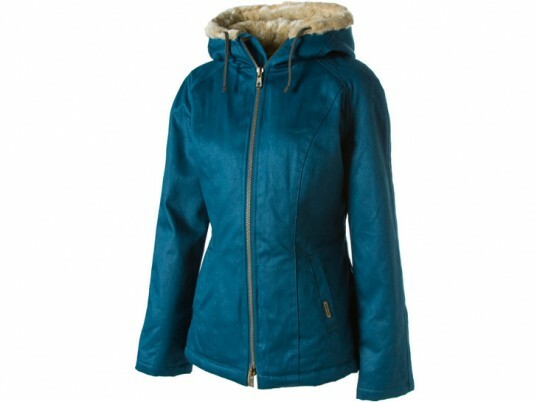 HoodLamb's women's jacket features a fleece-like trim derived from 20 percent hemp, 35 percent recycled PET, and 45 percent acrylic for the perfect blend of comfort and style. 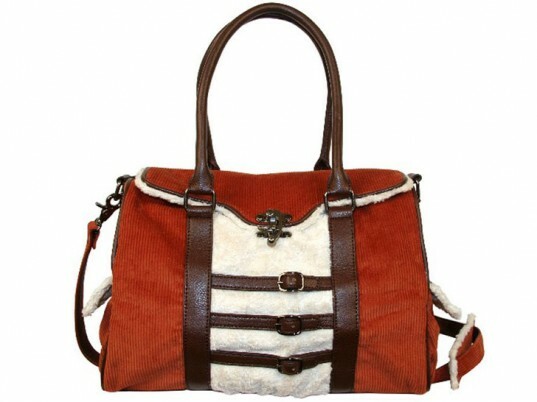 Available in your choice of black, army green, and burnt orange, the "Bailey" satchel by the Hemptress marries the rough-and-tumbleness of hemp and organic cotton corduroy with the sumptuous texture of recycled-PET faux fur. Sometimes pretending to be something you're not is a good thing, like Imposter's line of faux-fur accessories, which benefit critter-friendly charities like the Humane Society of the United States, the American Society for the Prevention of Cruelty to Animals, and Farm Sanctuary. 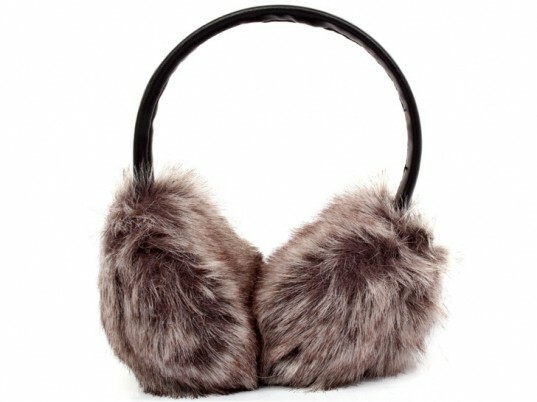 For every pair of fuzzy earmuffs sold, Imposter will earmark 10 percent for animal-kind.